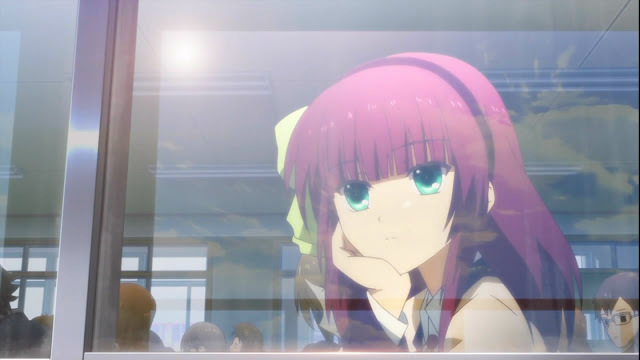 Otonashi Yuzuru was a high school student who has a younger sister being in hospital for a long time as she waits for a suitable donor. Back then, Otonashi was at his lowest point in life and taking several part time jobs to earn a living, barely enough to have money to eat. 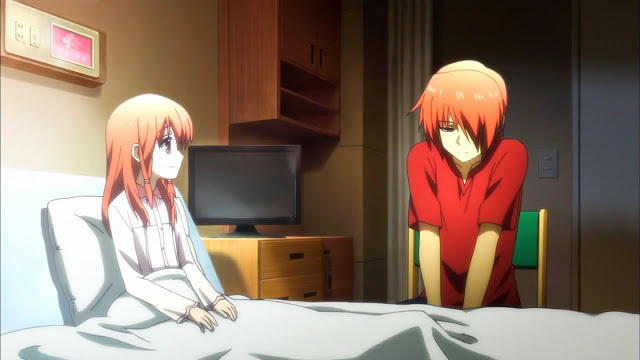 Despite permission being denied by the doctors, Otonashi brought out his sister out of the hospital on Christmas night to look at the Christmas decorations. It was that night that she died on her brother's shoulders. Otonashi didn't realize it until later. With that, he realized that the sister wasn't the only thing in his life and wants to save people. That courage had him to study hard to have his grades improve. However, on the way to take his college entrance test, the subway he was in was caved in with no way to get out by themselves and external communication unavailable. Reminded of his sister, he chooses to lead everyone until help arrives. However, help came too late to save Otonashi. 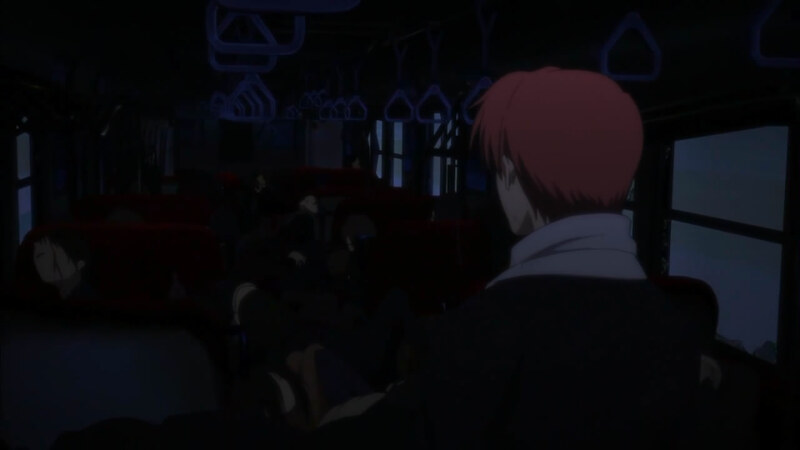 This is where he soon finds himself in the afterlife world where most of the anime takes place. ..........well that's the summary. Now I would like to point out my thoughts about it. 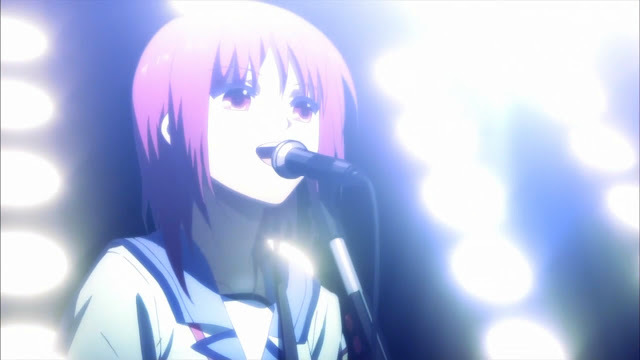 Iwasawa appeared for only 3 episodes? She was way more cooler than Yui. The first episode was impressive, along with the music. Until after the title screen appears in episode 4, things start to go downhill with filters and rushed storyline, even with the last episode. Visual-wise, I thought that the "brightness" and shiny heads was part of the afterlife universe, but things remained the same style in the real world. What I find lacking is, how did Yurippe die? The flashback she had was when she was younger, and suicide is out of the question as they won't end up in that world. There was also the lack of interaction with other members of the war-front or the Guild. Naori's introduction seemed to be of little significance and unnecessary too. The last 2 episodes raised a lot of unanswered questions. Confusingly, this anime looks like it's focused on Yuri being together with Otonashi, but she doesn't even care at the end and suddenly interested in Tenshi Kanade like the last scene of the last episode. Overall, the anime seems to be a big mess or a slice-of-life with some action added. It's one of the few anime in the spring lineup that I enjoyed watching. 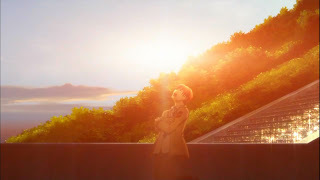 As you had seen in the above screenshots, their heads are unusually shiny, but when combined with a background like on the right, the scenery can be quite nice: something quite rare even in popular anime.